"I once had a conversation with a cardiologist friend of mine in which I casually mentioned the Linus Pauling Theory of heart disease, and the subsequent idea that a non-toxic nutritional supplement program with vitamin C and a few amino acids could prevent and reverse heart disease. The response from my cardiologist friend was hearty laughter that anyone would even suggest such a nonsensical idea, and surely you must be joking? My cardiologist friend and the rest of the mainstream medical system has no clue about the steamroller coming to health care aiming right at the huge profits from diagnosis and treatment of heart disease, a multi billion dollar industry in the US. "Now I've got to the point where I think we can get almost complete control of cardiovascular disease, heart attacks and strokes. [The proper therapy] can prevent cardiovascular disease and even cure it.". --Linus Pauling. Heart disease is caused by vitamin deficiencies! 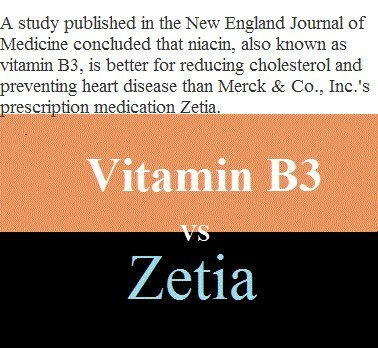 No prescription drug has ever been shown to help prevent heart disease similar [vitaminsA, C and E]. These results and those of countless other studies are so clear that anybody questioning the value of vitamins in the prevention of heart disease may safely be considered as uninformed." CLEVELAND, Nov. 14, 1995 -- People with low levels of the vitamin B6 have a greater chance of developing heart disease, a newly published study by a team of cardiologists and cell biologists at The Cleveland Clinic Foundation concludes. Several recent studies have shown that high levels of homocysteine, an amino acid in the blood, is associated with coronary artery disease, often leading to heart attacks and strokes. Previous studies have focused on deficiency of the vitamin folic acid and its association with homocysteine. But the Clinic's study, published this week in "Circulation" magazine, indicates that the link between homocysteine and vitamin B6 is more profound. "We have shown it is not just folic acid, but it's a vitamin B6 deficiency as well," said Killian Robinson, M.D., a cardiologist at The Cleveland Clinic and principal investigator for the study. "It seems to be a very prevalent problem." The study compared 304 patients (201 men and 103 women) being treated for coronary artery disease. The study found that vitamin B6 deficiency is as much a risk factor for coronary artery disease as smoking and high cholesterol. Deficiencies of folic acid and B12, which have been linked to homocysteine levels and vascular disease, were shown not to be as significant risk factors as B6 in coronary artery disease. "According to the U.S. National Academy of Sciences (1977) there have been more than 50 studies, in nine countries, that have indicated an inverse relationship between water hardness and mortality from cardiovascular disease. That is, people who drink water that is deficient in magnesium and calcium generally appear more susceptible to this disease. The U.S. National Academy of Sciences has estimated that a nation-wide initiative to add calcium and magnesium to soft water might reduce the annual cardiovascular death rate by 150,000 in the United States." --- Groundwater and Human Health, Groundwater Resources of British Columbia, British Columbia Ministry of the Environment.